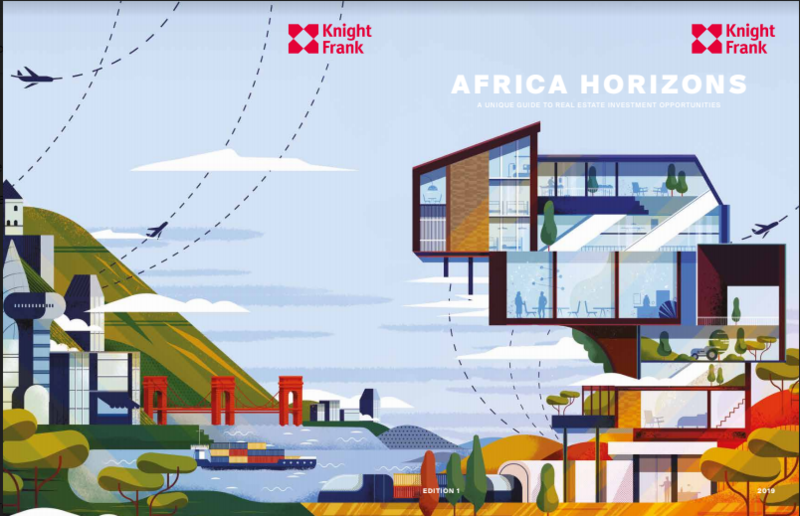 An analysis released by Knight Frank this Wednesday shows office yields remained largely stable in most African markets over the past two years, anchored by patient domestic capital as local investors assume a loner-term perspective. The analysis, published in a Knight Frank report dubbed Africa Horizons, reports that of the 35 office markets covered, yield remained stable in 16 locations in the two years to 2018 and rose in six, while 13 markets recorded declines. Just under US$2billion worth of deals in Africa were publicized in the year 2018, predominantly involving assets in South Africa. Contrary to the global trend, Africa’s recorded transaction activity peaked in 2016, and has since eased. According to the report, healthy economic prospects suggest that Africa will remain an attractive investment destination for those targeting key centres. In addition to the office markets in these locations, the report notes, rising wealth will favour sectors exposed to consumer logistics, and selectively, retail. “We envisage rising investor demand for those African locations that can demonstrate something of a counter-cyclical nature, combined with rising domestic wealth,” the report concludes. According to the Africa Horizons report, top residential investment opportunities across the continent include; student accommodation (with Zambia, South Africa and Kenya being education hotspots), retirement homes, and middle-income housing as demographics change. In Kenya’s logistics sector, formal retailers have emerged as a major driver of growth owing to their increasing need for large centralized warehouses as they gain critical mass countrywide, the firm says in a statement.